2018 saw the inaugural Thailand MotoGP™ at the Chang International Circuit in Buriram, and what an experience – it literally blew us away! The circuit has hosted the WorldSBK™ Championship since it opened in 2014 and the MotoGP™ teams had a test at the circuit in February 2018. It’s not an easy circuit to reach, located some 400 kilometres from Bangkok, however we have taken the hard work out of it with our exclusive packages. As some of the only western fans at the inaugural Grand Prix in 2018, we were overwhelmed by the welcome and warmth of the Thai people, and we’re eager to get back to Buriram and, with our experience of the circuit, make the second year even better! Of course, you may want to see a bit more of Thailand during your stay. If you wish to extend your stay in Bangkok, add some sightseeing or turn your trip into a Thailand or Asian multi-centre holiday, just let us know!  The 2019 MotoGP™ Thailand Grand Prix takes place on 06 October 2019 and our exclusive packages include everything you need to make your trip to Thailand one to remember – airport lounge access on departure, return flights, all airport transfers, domestic flights, hotel accommodation and MotoGP tickets, and AGAIN FOR 2019 we are also including circuit transfers on Saturday & Sunday! Buriram is a land of volcanoes and ancient Khmer civilization site in Thailand which make it important as a historical tourist attraction. In addition, Buriram is also nicknamed as the land of stone castles. To emphasize its richness in cultural heritage, there are crafts like silk and Na Pho Mudmee (ikat). Currently, Buriram has a popular football stadium and motorsport race track where many tourists never miss their chance taking photo with. The province is divided into 23 districts; Mueang Buriram, Nang Rong, Lam Plai Mat, Khu Mueang, Krasang, Nong Ki, Lahan Sai, Prakhon Chai, Ban Kruat, Phutthaisong, Satuek, Pakham, Na Pho, Nong Hong, Phlapphla Chai, Huai Rat, Non Suwan, Chamni, Non Din Daeng, Chaloem Phra Kiat, Ban Mai Chaiyaphot, Khaen Dong and Ban Dan.